This entry was posted in Dental Care Gum, Gingivitis, Gum Disease, Periodontics and tagged ankylosis, external resorption, gingival fibers, gingival sulcus, guided bone regeneration, guided tissue regeneration, infrabony pocket, junctional epithelium, new atatchment, oral epithelium, periodontal ligament, periodontal tissues, reattachment, root resorption, suprabony pocket on June 27, 2012 by chzechze. This entry was posted in Dental Care Gum, Gingivitis, Gum Disease, Periodontics and tagged bone regeneration, cementoblast, cementum, Connective tissue, gingival, new attachment, osteoblast, reattachment, root planning, Tooth on June 26, 2012 by chzechze. This entry was posted in Dental Care Gum, Gingivitis, Gum Disease, Periodontics and tagged air scaler, cementum, debridement, deep pockets, furcations, handpiece coupler, magnetostrictive scaler, periodontal therapy, piezoelectric scaler, sonic sclaers, types of scalers, ultrasonic scaler, vibration on June 8, 2012 by chzechze. This entry was posted in Dental Care Gum, Gum Disease, Oral medicine and tagged AIDS, gums, HAART, hard palate, immunodeficiency, immunosuppression, kaposi's sarcoma, lymphatic endothelium, mesenchymal tissues, saliva, spindle cells on May 27, 2012 by chzechze. This entry was posted in Dental Care Gum, Gum Disease, Oral medicine, Oral Surgery and tagged african cutaneous kaposi sarcoma, african lymphadenopathic kaposi sarcoma, classic KS, endemic KS, epidemic KS, HAART, human herpesvirus 8, immunosuppression, kaposi's sarcoma, kaposi's sarcoma associated herpesvirus on May 26, 2012 by chzechze. A tooth or dental abscess is a localized collection of pus in a sac formed by disintegration of purulent material from a bacterial infection. Invasion of bacteria which cannot be drained results in abscess. An abscessed tooth can be further classified into periapical, periodontal or gingival abscess depending on its location in the oral cavity. This entry was posted in Dental Care Gum, Dental Floss & Gum Health, Endodontic treatment, Mouth Wash, Oral Care, Teeth Extraction and tagged bad breath, flossing, oral hygiene, root canal treatment, tooth abscess symptoms, tooth extraction on February 21, 2012 by suthalini. This entry was posted in Dental Care Gum, Gingivitis, Gum Disease and tagged gingivitis, gum bleeding. 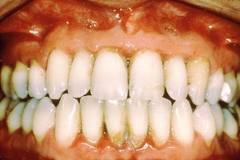 sores, Gum Disease, Periodontitis on November 12, 2011 by phebe. This entry was posted in Cosmetic Dentistry, Dental Care Gum, Dental Floss & Gum Health, Gingivitis, Gum Disease, Oral Care and tagged brushing, cayenne pepper, gums, hard tissue graft, peelu stick, plaque, pockets, sensitive teeth, soft tissue graft on October 6, 2011 by chzechze. This entry was posted in Dental Care Gum, Denture, Oral Care, Sore Treatments and tagged Denture, gums, implant retained dentures, Impression, pain, putty, rebase, reline, sore spots, temporary soft reline on September 26, 2011 by chzechze. 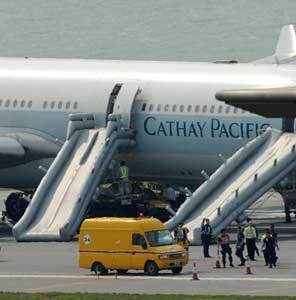 Illness during a flight may lead to an unscheduled landing. This is expensive for the airline and extremely inconvenient for other passengers. There are relatively few situations where travel by flight is not allowed, and having a tooth abscess is one of them. Although the pain might not be so severe to the stage where the aircraft would have to do a force landing, however, different people have different level for tolerance of pain. So it is generally unwise to deliberately fly with a known tooth abscess in the mouth. This entry was posted in Dental Care Gum, Oral Care, Sore Treatments and tagged airline, altitude, barodontalgia, dental abscess, flying, inflammtion, pain, pilot, pressurized cabin, tooth decay on September 20, 2011 by chzechze.